Posted on September 28, 2017 by thelostlighthouse	in Comics, Literature and tagged Avengers, comics, comics reviews, Esad Ribic, Generations, Ironheart, Jason Aaron, Legacy, Literature, Marvel, Marvel comics, Marvel Generations, Marvel Legacy, RiRi Williams, superhero, superhero comics, TLL. This week I picked up Marvel Legacy, the set up from the next stage of the Marvel Universe, ostensibly following on from all of the Generations one shots from the past few weeks. 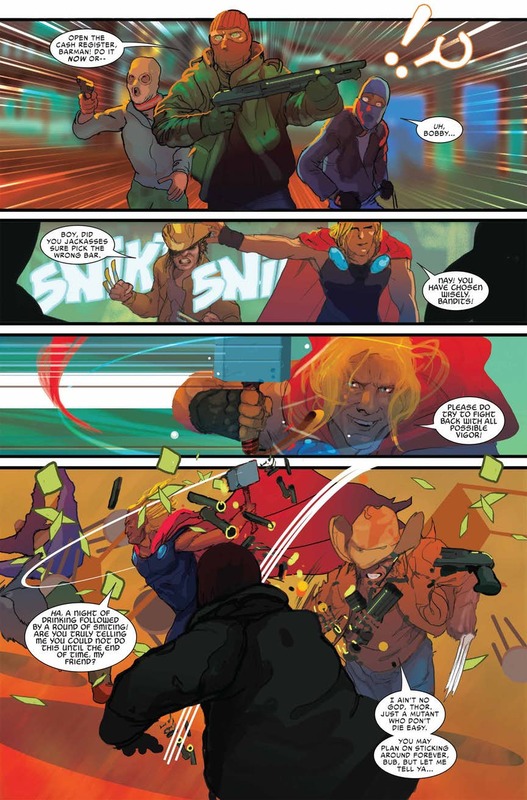 Legacy was written by Jason Aaron, with the art primarily by Esad Ribić and Steve McNiven, colours by Matthew Wilson and letters by VC’s Cory Petit, with additional art from a host of artists including Chris Samnee, Russell Dauterman and Alex Maleev. First and foremost, Legacy reads like a Previews catalogue, with snippets and hints at ongoing stories that are for the most part seemingly unconnected to the driving narrative, or 2 or 3 driving narrative of this hefty issue. One million years ago, an Avengers-style group including Odin (wielding Mjolnir), the Phoenix, a Black Panther, a Ghost Rider, a Starbrand, a Sorcerer Supreme and an Iron Fist banded together to fight a Celestial. In present day, the current Starbrand and Ghost Rider fight it out near an archeological dig site that is getting dangerously close to where that Celestial was laid low. Meanwhile, Captain America (Sam Wilson, in possibly his last adventure in the uniform), Thor (Jane Foster) and Ironheart (RiRi Williams) battle ice giants, sent by Loki to steal an item held in a SHIELD secret base. Some long dead or missing (well, 2 years or so) heroes return or are hinted at returning along the way. Around these main through-lines, we are treated to glimpses of where the stories for some of the main books are headed. We check in with Captain America (Steve Rogers) on the road, the Odinson in a bar, and Dr Strange and Iron Fist hanging out for some reason. Legacy succeeds for the most part in creating tangible excitement for the future of Marvel comics and this universe. Some of these plots don’t quite land, don’t seem to have much prospect for the future, or simply seem a bit like “Hey, guess who is alive again! What? How are they alive again? Don’t worry about it!”. As an attempt to bring in old, lapsed readers unhappy with the current status quo, while retaining any newer readers gained from the increased diversity in recent years, I’m not entirely sure how successful this will be. But from the perspective of good, well told comic books? The driving plot is interesting, and many of the teasers are incredibly compelling (I can’t wait for Samnee and Waid’s Captain America). I hope we see more of the Avengers of 1 million years ago again in particular. The art in the entire issue is uniformally great, if not entirely uniformal. Esad Ribić’s work on the main plot is as good as his work on Secret Wars, to my mind the best Marvel event in a long while, due in no small part to his art. The early Avengers work is stunning to look at here in Legacy. As for the rest of the art Steve McNiven deliver’s predictably very strong pages, and in general the pages that are either current artists or upcoming artists on the plots they are relating too deliver too. Samnee’s Captain America page is warm, classic and entirely modern all at once, while Dauterman’s Thor page is as breathtakingly epic as ever. Legacy has made me excited for the future of Marvel comics, after the onset of severe event fatigue. 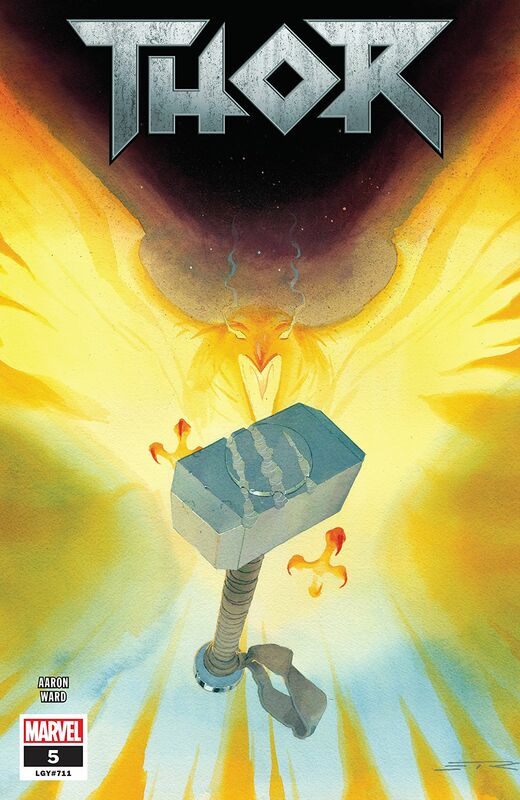 The return to the “original” numbering after this is a gamble that I can’t quite see the long term benefits of with regards to getting new readers in, and this certainly doesn’t feel like a place to start, but with a compelling plot and great art any current or lapsed Marvel fan should check it out.